It’s easy to get left behind if you are not up to date on the news for every moment of your waking life. Major events could take place, and if you happen to be away from a television or your computer, you might have no clue about them–and that just goes for news in general. 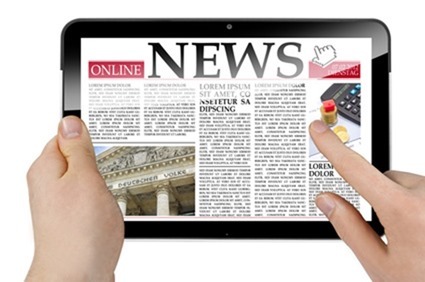 Many of us work in industries that require us to stay in the know about specific types of news, such as financial, local, real estate, or entertainment. If we do not know what is happening in our world, we might get left behind by business competitors or water cooler buddies. News apps, especially those that alert you to breaking stories or allow you to tailor news to specific areas, will help you feed your news addiction and stay informed. This great little news app is the product of boy genius Nick D’Aloisio. The tech-minded British-Australian entrepreneur became the youngest person in the world to ever receive venture capital in 2011 (he was fifteen at the time). Summly allows you to tailor your news sources, so that you can follow trending stories in your area of interest. If you are not a fan of sports, or even politics, you can check the news without wading through topics that do not concern you. If you want to read your news on the go, and you need to digest it quickly, Circa may just be the best app for you. This helpful app relies of a team of expert editors who sift through the news of the day before translating it into user-friendly slideshows and stories. You do not have to read whole articles or make your way through too much verbiage to get to the heart of a story—luckily, the good folks at Circa have already done that for you. If you are the exact opposite of the news addict described above, then maybe the New York Times app is a better fit for you. This one is not the best choice for those who want up-to-the-minute headlines, since it does not send push notifications. It does, though, have the stellar prose and legendary insight that have made the media giant what it is today. For those who want thoughtful, persuasive stories (that are easily shared through social media), this is your app. This app put out by the Associated Press lives up to the reputation of a press organization with global and local reach. Its handy push notifications keep you abreast of any breaking stories, and the award-winning photography of the AP is in full effect in mobile form. For those, who want to know what is happening in your hometown and in world capitals, this app does the trick. It presents local news and weather alongside global headlines. If you prefer to watch the news rather than read it, this app will be a great fit. It is flashy, efficient, and has the user-friendliness that you would expect from a leading television network. CNN Mobile allows you to watch video news from your Smartphone. It has the local features of AP Mobile and supports breaking news push notifications. UPDATE: This app is no longer available. That’s right–the same Google Reader you have come to know and love on your computer is now available for your phone. Although this app is not specifically designed for news sources, it works like a charm with them. No matter if you’re interested in insurance news from Lloyds or the latest on gadgets from Gizmodo, or anything in between, the Google Reader is your friend. Simply follow the RSS feeds of your favorite news outlets, and your reader will always be full with timely and interesting information tailored to your news addiction. Also, because Google is known for simple graphics and no distracting animated ads, your stories will load with record ease and speed. Kate Simmons is a freelance writer and occasional blogger on various topics related to technology, business and education. Kate focuses on technology's role in various fields, and she's currently mostly interested in high-tech gadgets and apps used in management and business education. You can connect with Kate on Twitter or Google +.